Hiding beneath that quilted calfskin leather and bouclé tweed is a treasure trove of hard skincare science. Chanel's research and development team has been toiling away in the laboratory (We wonder if the lab coats are festooned with gold Chanel buttons. . .) to create a sunscreen formula that's an elegant as the fashion house's wardrobe. 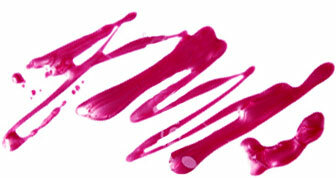 We all know that SPF ingredients can be sticky, goopy, difficult to spread and smelly. Those qualities are hardly pleasing. But Chanel's new UV Essentiel range offers high UV protection levels (SPF 20, 30 and 50) with filters to guard your skin against harmful sunlight, free radicals and air pollution. Aside from protecting your skin against the sun's harmful rays, this collection shields you from elements that lead to photo-aging and hyperpigmentation. Getting all of that protection doesn't mean you'll be standing at the vanity for 30 minutes rubbing in the formula. The non-oily, lightweight fluid sinks directly into the skin and doesn't feel the least bit sticky in typically challenging moments (perspiration, precipitation, humidity). Whether your spring and summer days call for gauzy summer frocks or chic swimwear, your skin will be protected with this range of suncare. 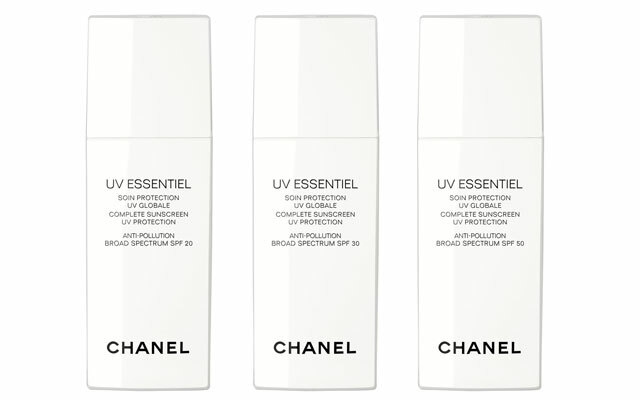 Chanel UV ESSENTIEL Complete Sunscreen UV Protection Anti-Pollution Broad Spectrum. Available in SPF 20, SPF 30 and SPF 50 ($55 each) beginning in April 2013.